It’s probably no coincidence that the team who got their business done early this summer are now sitting top of the Premier League table. Manchester United wrapped up deals for Victor Lindelof, Romelu Lukaku, and Nemanja Matic and have cruised to three wins from their opening three games against West Ham, Swansea, and Leicester City. 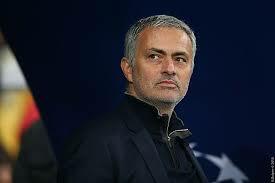 Jose Mourinho is right to be satisfied with his squad, even if he would have liked to add one more attacking midfielder. It’s reported in the Sun that the Red Devils boss made a shock attempt to bring in Willian from Chelsea on Deadline Day, but he was obviously unable to get a deal over the line. The 29-year-old has been in and out of the Blues’ side since Antonio Conte took over, but they had no interest in letting another player reunite with Mourinho following Matic’s surprise move to Old Trafford. The versatile Brazilian would have been able to operate in a 3-4-3 as he does at Stamford Bridge, or in Mourinho’s favoured system of a 4-3-2-1. It remains to be seen if he’ll make another offer in January, and how receptive the former Anzhi midfielder is could depend on how much game time he is given between now and then.